Do you remember when you would put on your fathers clothing, draw on a fake beard, tie a handkerchief to a stick, and go trick-o-treating as a hobo? There were numerous times I had a sheet thrown over my head right before being ushered out the door! 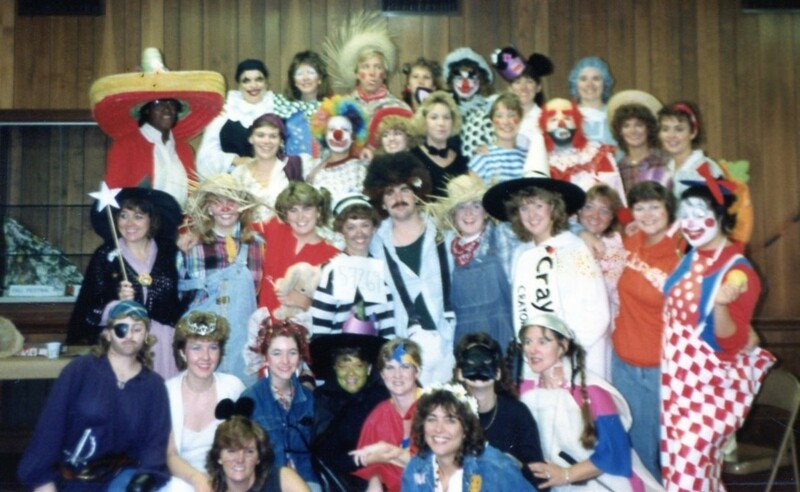 Costumes have changed dramatically over the years, with the biggest change being the price! 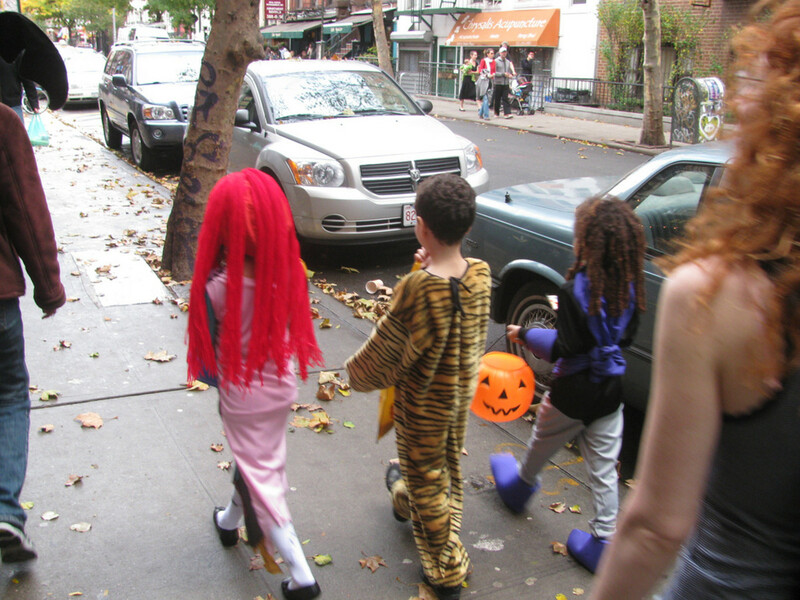 A stroll through any stores Halloween isle makes it easy to see how a family with more then one child could spend a small fortune on Halloween! This is hard for some, especially with Christmas right around the corner! 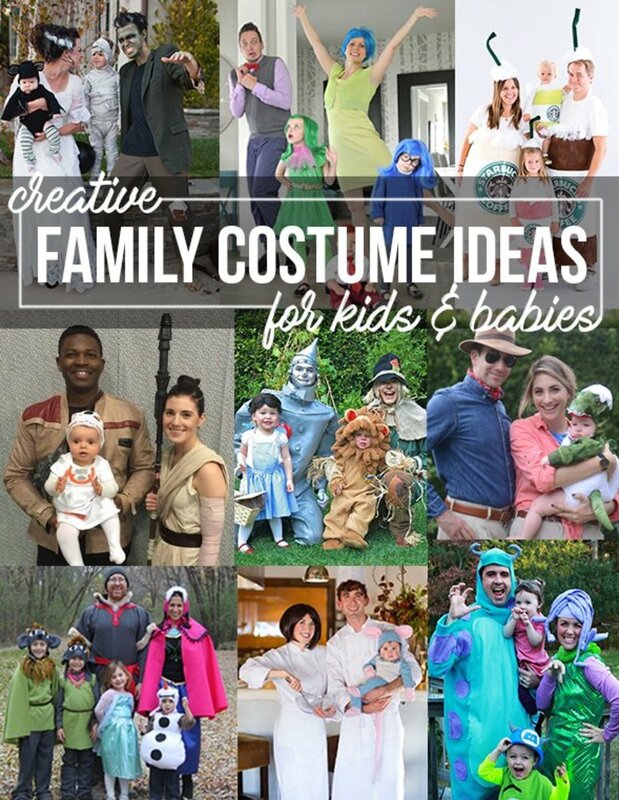 Luckily, there are hundreds of DIY costume ideas that can make Halloween night fun for your child without breaking your piggy bank. Below you will find a list of the five best (and most classic/timeless) cheap DIY Halloween costumes for children. Glue the silver bottle cap onto the top of the red hat. Open the clear trash bag and find the end that is cinched close. Cut a hole for your head in the middle of that end of the bag (do not make the hole too large). Once you have placed over the head find the two spots where arms will work best and cut the holes for the arms to poke through (again not too large). Once you are dressed in red clothing and have the clear bag on fill with the balloon and tie the end around your waist. This is an adorable idea and works really well for Halloween parties or gatherings. However, if you live in an area where you will be getting in and out of a vehicle to trick-o-treat this is a very inconvenient costume because it is very bulky! This one is so simple to make but looks so well put together once it is done! You are sure to be a one of a kind hit at any Halloween party, and people will be marveling over how awesome your costume is! Paint each side of the box a different color and wait for the paint to dry. Once the paint has dried use the tape to outline the nine smaller squares on each side. After you have finished these steps you can begin to outline and cut out holes for your head and arms. Put over your head, and off your go! This is another one of those very bulky costumes that do not fair well in a vehicle! 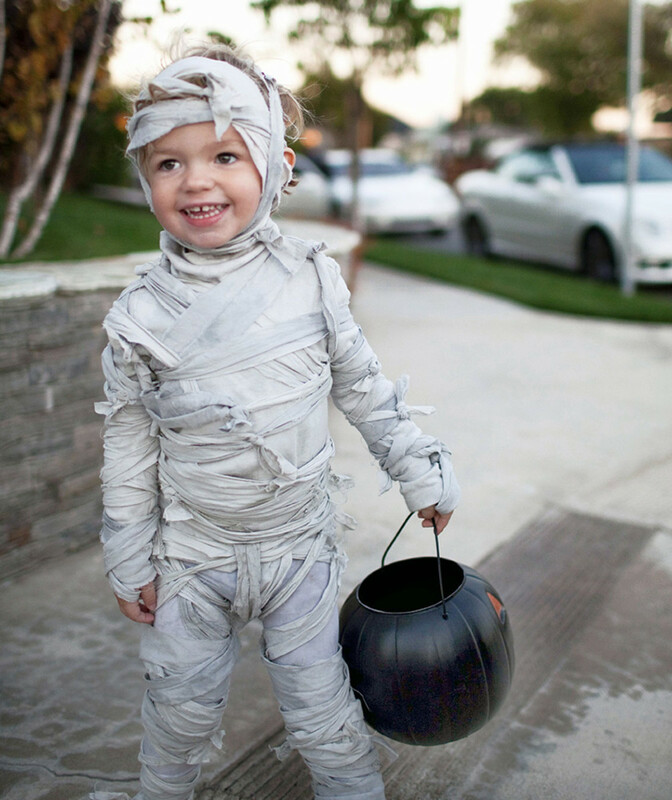 Ok you could wrap yourself in toilet paper and have a good time, or you could try this DIY mummy costume and have a great time! Fill the sink or tub with the hot water or already steeped tea and then drop in the sheet. Once stained entirely, hang the sheet up to dry, and after is has dried cut into strips that are different in length and width. Paint your face white and wrap the strips of sheet around your body in different ways. The end result is a mummy who looks like they have waited hundreds of years to come back and haunt this Halloween night! 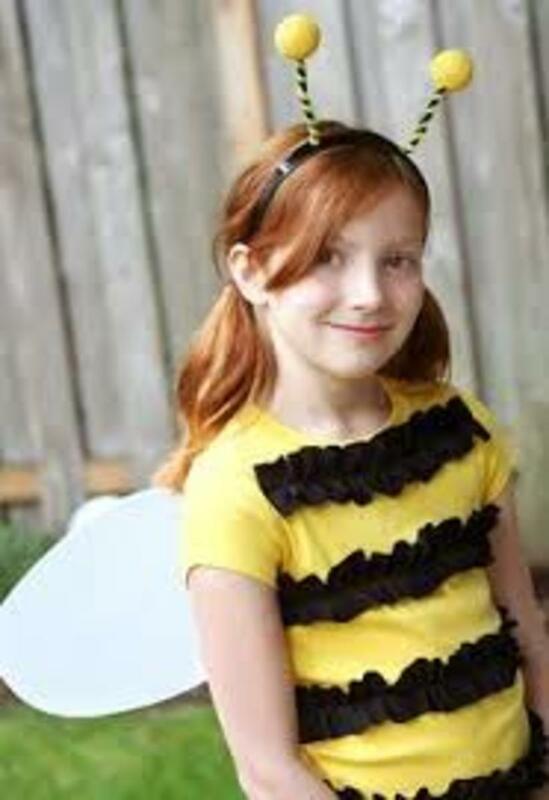 Just a couple of easy to find things around your house and your little one will "Bee" ready to go with this easy to make costume! Take the yellow t-shirt and paint black stripes across the front. Attach the pipe cleaners to the headband and use the black pom-pom on the top as the antennas. Stretch the yellow nylon over the wire hangers and mold into the shape of wings. Paint the knives silver and allow then time to dry. Tape the now silver knives to each fingertip on the gloves with the black tape. Put on the black clothing and use the belts to add flair by wrapping them around your chest and waist. Use the hair gel to create a messy hair look, or use a black wig if hair is too short. Put on the gloves and enjoy people reactions as your costume throws them back in time! Most areas have a local Dollar store or something of that sort where you can find materials for cheap. 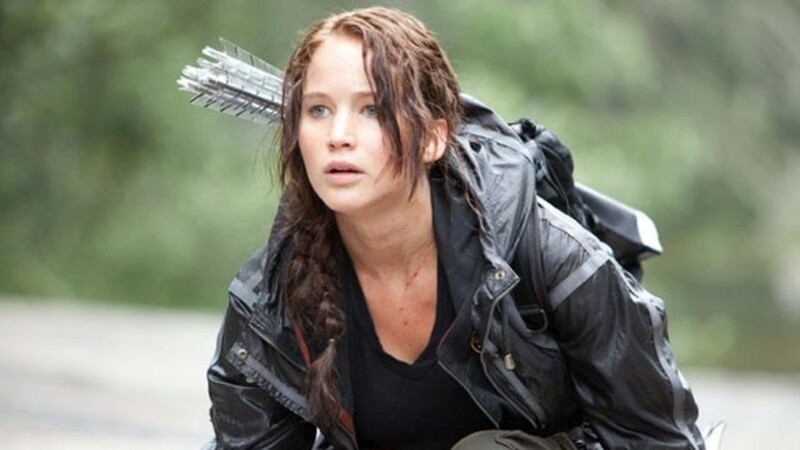 With the right list of materials, the possibilities for cheap DIY costumes are limitless! You can find most, if not all, of the items below rather cheap and you will find that making your own costume will always be more inexpensive then buying one at a department store. Browse the Halloween section of stores for ideas and use the materials below to make your own take on your favorite costume! Use hooded sweat-shirts to make animal costumes for kids by gluing felt pieces to the hood for eyes and teeth. 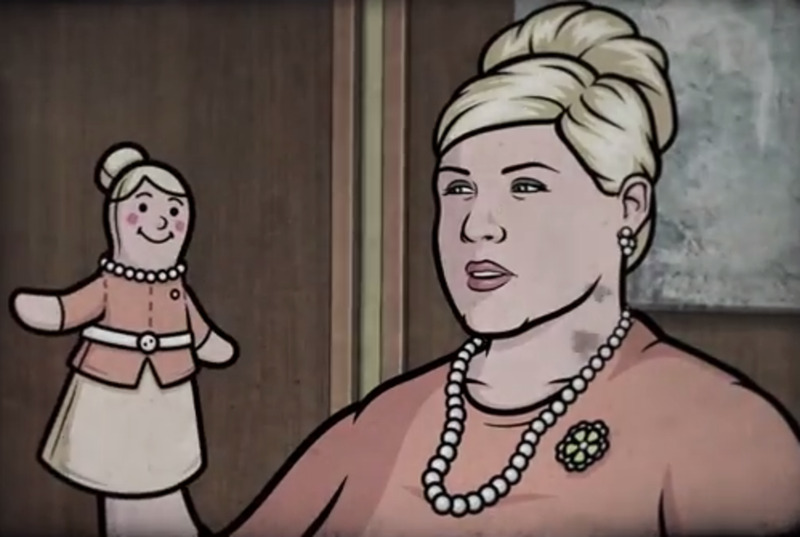 You could use a grey shirt to make a shark, or a brown shirt to make a monkey. Cut a mane out of felt and glue it to the hood of a tan shirt to make an adorable and cheap lion costume! Ghost costumes never go out of style and there are so many ways to make them a little less boring! Tie dye a sheet for a groovy ghost, or pin different items to the front to make your own version! Rainbow clothing and hair pieces can be worn in unison to become a beautiful rainbow this is a cute inexpensive costume and so simple! Masks are a big part of Halloween but they become more expensive every year! 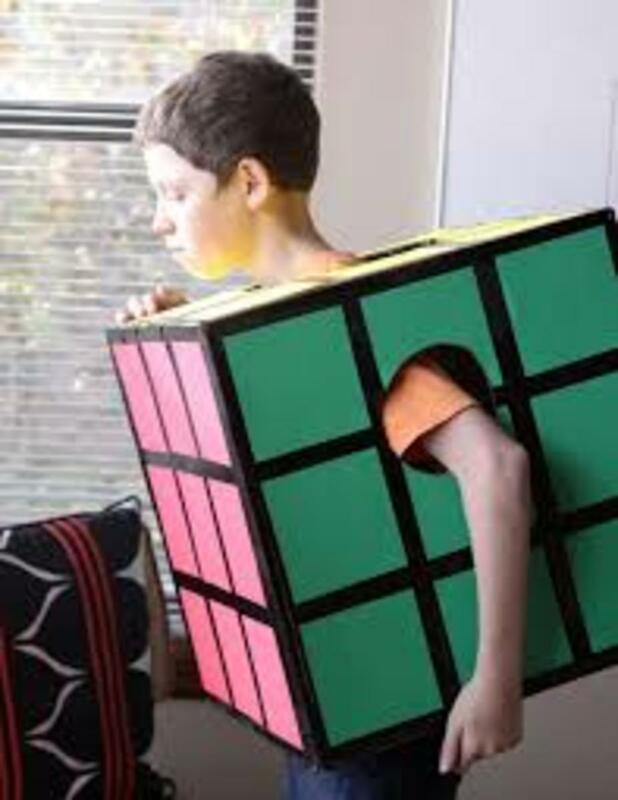 Making your own is a great way to save a bit of money on a costume this year! You can make masks out of anything from a paper plate that has been colored and cut to an old winter hat pulled over your face with felt glued onto it. 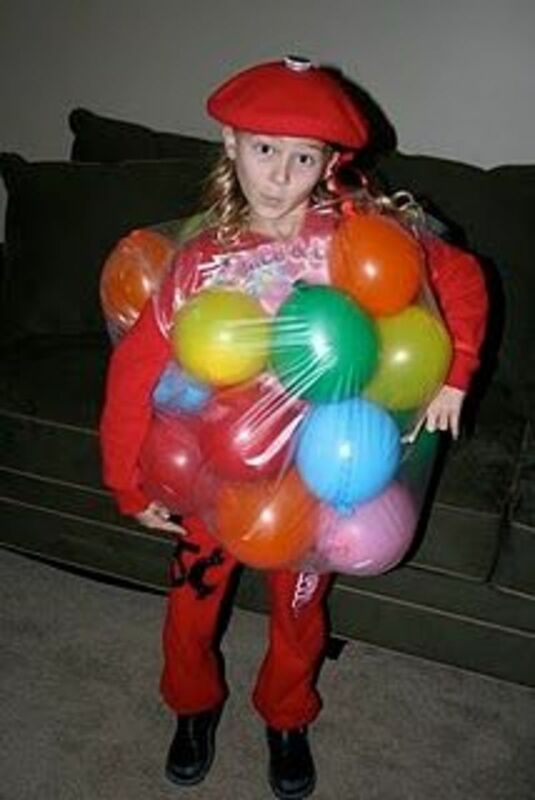 Candy can be glued or pined to clothing to make costumes like a smart pants (smarties pinned to pants) or a pinata! Hobo and lumber jack are two costumes that you can make with clothing you already have laying around! Grab an ET stuffed animal and put it in a basket on the front of your little ones bike, a red sweat shirt and blue jeans and you are good to go! Just do not let them try to fly over the moon! Moms make-up can be a great alternative to pricey face paints and Halloween masks! Paper Towel rolls can be used for a wide variety of things, once I saw a guy who had taped 3-4 together to form legs that he tied to his arms to become a spider. Anytime he moves his arm another three rows of "legs" moved with it, it was very cool! 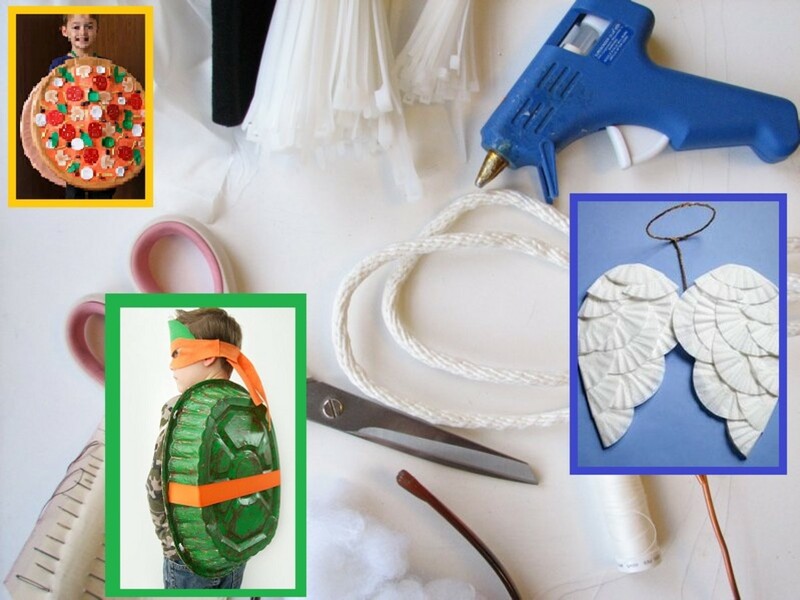 There are so many ways to use household items to make inexpensive costumes! Younger children normally do not mind making their own costumes because they are not interested in cost of things or looking "cool" yet. They will love being hands on and creating something to wear around town and show off while getting tons of candy. I mean really, what is better then getting a boatload of candy for free? Spending time with Mommy making the costume first! Do you think Halloween Costumes are too expensive? Have you made a costume to save money before? Thank you! I adore the Edward costume but that may be because I have a serious obsession with that movie, it is my all time fav movie from that era! Great ideas for kids Halloween costumes! The best part is they are fairly easy for parents to put together. 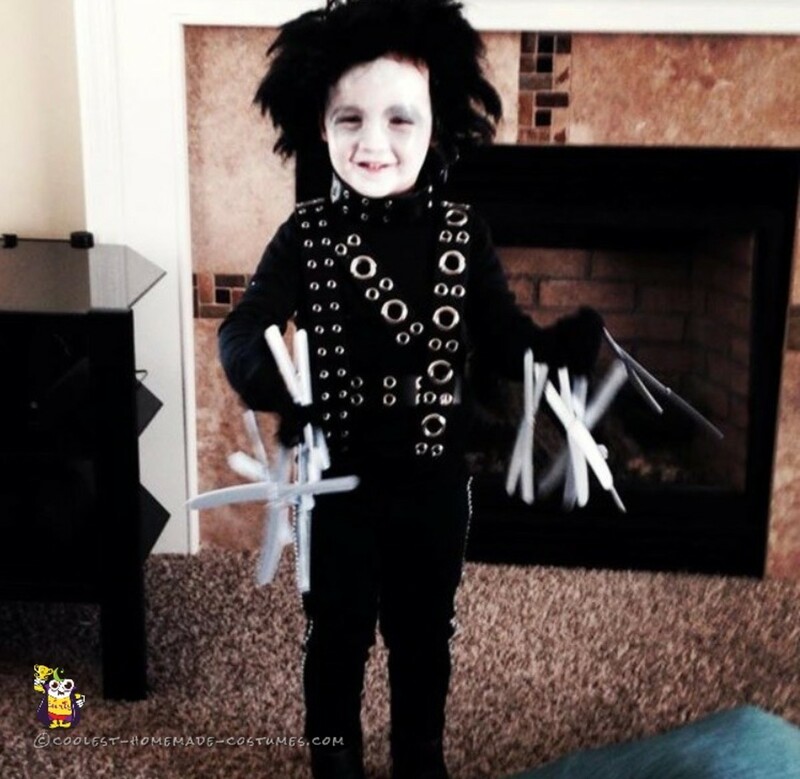 I love the Edward Scissor Hands the best. He is adorable!